For those of you that collect vintage Exquisite jewellery from WAP Watson, may have discovered that many pieces are unsigned. The company was in production (except the Second World War years) from 1914 until around 1979. It may surprise you that before 1953 all jewellery was unsigned. Sometime between 1953 and the end of the fifties, they started to add a plaque with the name "Exquisite" in script. 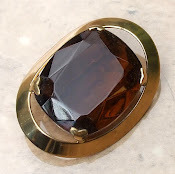 I was lucky to talk to an old employee of W A P Watson who was one of the people who made the jewellery's molds and invented many of the finishes. He worked for them until 1953 and in that time none of the jewellery had a signature. They were sewn onto a fabric pad and boxed. Both of these were named with the trade mark Exquisite. 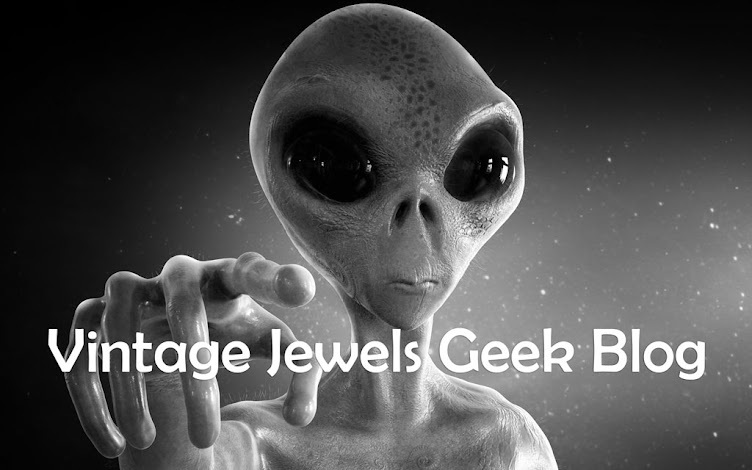 Up until 1955, the jewelers would patent their designs. 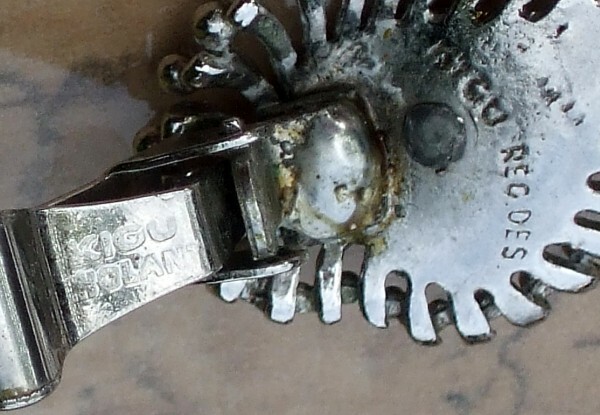 So you may see "Pat pend" (patent pending) or "Des Pat no" or "Des Reg" (design registered) on some pieces of vintage jewellery and a number. Copying other company designs was a widespread practice (and still is today). 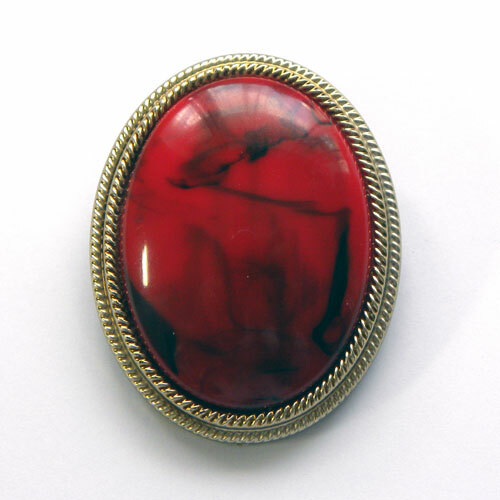 Many designers would submit their jewellery design to be patented. This process would often take several months. Thus the Pat Pend signature. I have to mention that the first plaques with the script signature of Exquisite did not stand the test of time and can be worn and almost indistinguishable. So if a piece of vintage jewellery has Pat Pend or a reference to patent then it is probably dating pre 1955. (there are a few exceptions to this) but in general use this rule. 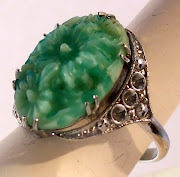 Back to Exquisite - how to identify non signed jewellery and there are over 40 years worth! It will match signed pieces. The Scottish luck heather brooches is one range that this is easy to do this with. Also an unsigned pair of earrings will match a signed brooch. 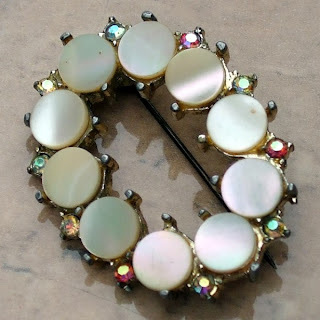 In my experience brooches are signed more often. 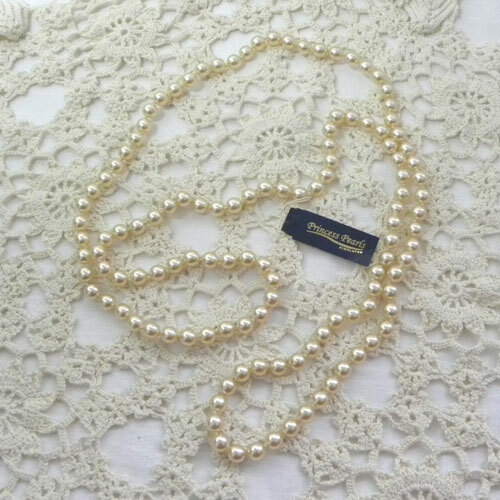 Necklaces are usually unsigned but have the characteristic "bow" tag. Earrings are usually signed and also rings underneath. Bracelets are rare anyway and may be signed or unsigned. It would be ideal if after 1955(ish) we could say the jewellery was all signed but unfortunately this was not the case. I can now attribute some souvenir jewellery with a plaque to Exquisite because of their early souvenir spoons. But they produced a large range of scatter pins for the 1951 exhibition in London. These I can guess but not confirm due to the large number that can still be found in Solihull and Birmingham. So my search goes on for news clippings, adverts and hopefully jewellery brochures. If you have any I would be very interested. 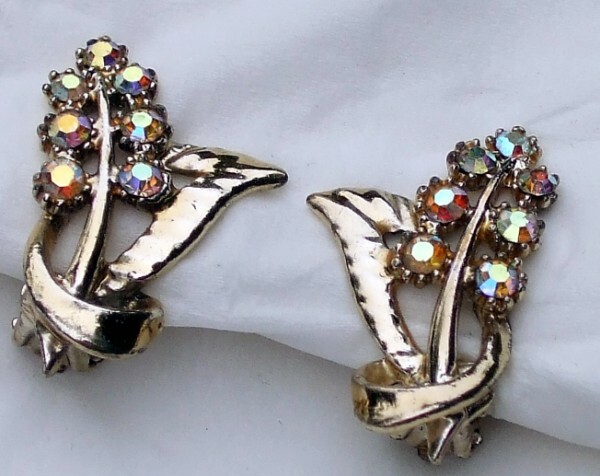 Now are the above vintage clip earrings from Exquisite, Hollywood or Jewelcraft? It is possible that they are. Some pieces were unsigned. I also have a pair of earrings that are unsigned with MOP circles that could be a match. I just got a ring from an estate sale today, and inside the ring is marked exactly Exquisite (in script form, with the letter E in upper and the rest of letters are lower case). 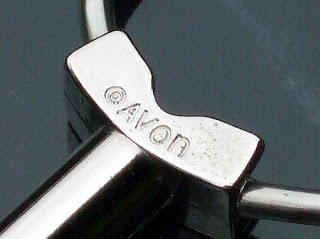 Also, there is an Upper Case S stamped in a square format; I'm still learning about jewelry and its lingo (so intriguing!). So I guess my question or two, is is this a pre 1955 ring or what? Your response would really be appreciated so very much and thank you too!!! Hello Laura, the ring is post 1953 if it is signed. 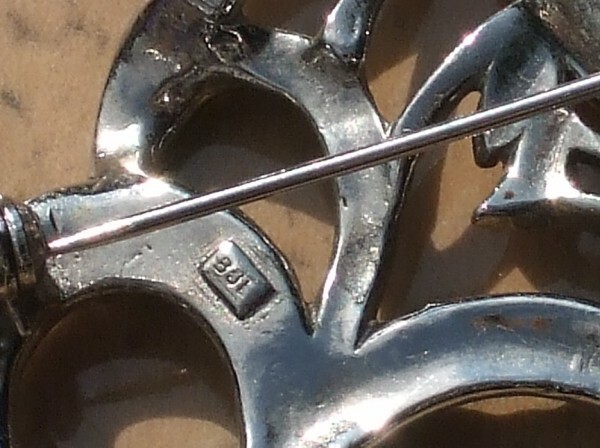 Without seeing the signature, would say the S is possibly for silver - I know they did produce some silver pieces in their early days. That is all I can tell you. Hope this helps. 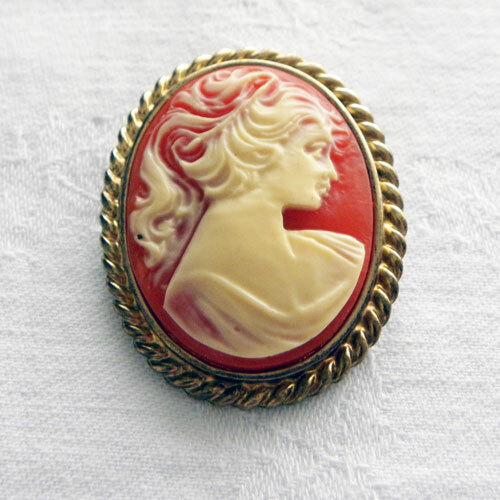 I have a set of a brooch and matching clip on earrings with a rose design that is made by exquisite for the month june, would this be collectable,. the other is silver coloured Scottish thistle necklace round pendant on a chain with small blue round stone. I think they are vintage, how much are they worth? 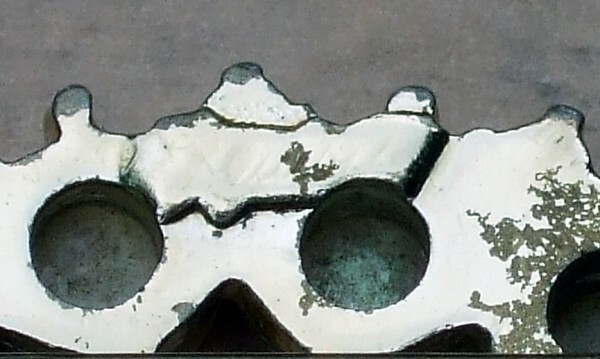 I have just aquired a clown that looks like pewter. 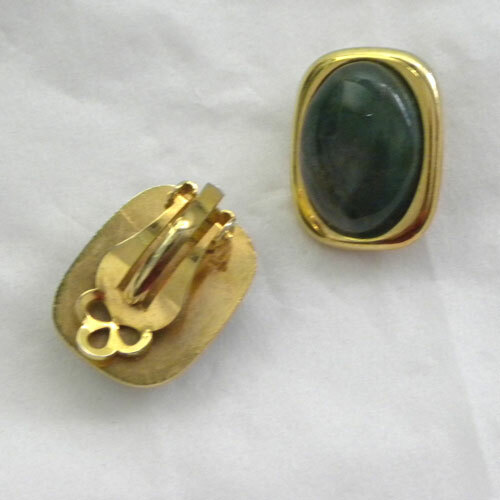 It has a large blue green faceted stone for its tummy and is painted in some areas. It has Exquisite stsmped on the bottom in a circle and gt britain stamped also. Did they make clowns? I have screw-back earrings and necklace. I know it is exquisite because it is in a nice marked blue box. But jewelry it's self is unsigned. I wish I could add a picture. They look in new condition so they were very well taken care of!